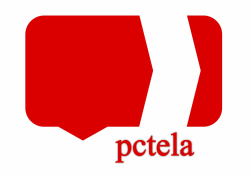 Hello PCTELA and welcome to the Winter 2014 issue! We have a wonderful issue, filled with both reflections from PCTELA 2013 as well as new and exciting information for the future! I welcome everyone to share your contributions and ideas for future issues as we continue to grow! Remember to find us on Facebook and Twitter as I look forward to hearing from you! It is with a sense of humble pride that I greet you today as the new Executive Director of the Pennsylvania Council of Teachers of English and Language Arts (PCTELA). I began my journey with PCTELA as an undergraduate student and later was a committee chair for the 2009 NCTE Convention in Philadelphia. Through these activities and my service as chair of our state conference in 2011, I’ve been humbled by all the people I’ve met within our organization. Members of our Executive Council have become my professional advisors. My early career as a teacher would have had far less form and substance without their mentorship. The National Council of Teachers of English (NCTE) and PCTELA members, vendors, and volunteers I’ve met through conferences have grown into an extended professional family. I now look forward to every chance to see them throughout the year! I could not be more honored to take on the behind-the-scenes duties as Executive Director so all these extraordinary people can continue to make PCTELA a thriving organization. Although I stand in awe of the many people I’ve met along the way, I am also writing today with a sense of pride. I know the value of organizations like NCTE and PCTELA because I began my career with their support. We offer all literacy educators validation, thoughtful discourse, and camaraderie. I am proud to be part of a group devoted to promoting literacy and lifelong learning. At our Spring Board Meeting this year in April, the Executive Board will come together to plan for our future. Education is a profession that constantly changes and looks different from place to place. As representatives, the Executive Board and Council are here to ensure that the issues close to your heart and professional career are part of our conversations in April. Please contact me directly if you feel there are any issues regarding our profession that our Executive Board and Council should be discussing at this meeting. I can be reached through email at ae_irwin@hotmail.com. Undertaking the organization of a conference can be compared to planning a huge party--you put all this work into, but on the day of, you just want people to show up and have a good time. One of the benefits of having been a part of the organization of the conference for me was the new perspective I gained. While I have attended and presented at many conferences in the past, this year I experienced what went on the behind-the-scenes. In some ways, I might liken this to teaching a lesson--the little hiccups and hitches I was aware of and chastised myself about were not even on the radar of most attendees, much like the way my students never know if my lesson plan doesn't go exactly how I planned it. Like in the classroom, trying new things is always a risk. However, I think our new things paid off. This year, we had our featured speaker, Jordan Sonnenblick also meet with about 80 local middle school students to talk to them about his books and the process of writing. I popped into that session briefly and laughed and pondered along with the students as Jordan shared his wisdom and experience with them. I think we all were profoundly affected by his talk to open the conference (we’re all the “truth and beauty types” so I suppose we were all impacted similarly) but to see him connect with these students in such a meaningful way brought to life why his books have such a strong impact on his readers. Additionally, this year we held a round table session on Friday afternoon. After a long day, participants were able to sit and chat with smaller groups with a facilitator on particular topics. A number of people commented about how those smaller, more intimate conversations with coffee and snacks were a relaxing way to end the first day of the conference. There were countless moments over the two days of the conference where I found myself brimming with excitement, wonder, and camaraderie. Whether it was a virtual conversation on twitter, a cup of coffee with a former intern, or a conversation with a new friend, I found myself so pleased to have been a part of such a phenomenal state organization, and happy that I was able to give something back to a group that has helped shape me as an educator. So thank you to all the members of PCTELA, all the authors who visited, all the board members who helped make this year’s conference a success. Click HERE for the entire conference proposal form OR to submit your proposal ONLINE. Attending the Author Breakfast was especially enjoyable this year since a teacher named Nina Theofiles reached out and offered to plan the event! Thank you, Nina, for all your hard work. The authors this year were fabulous, again! Each year a wide range of talent and styles are represented. This year we were blessed with two Poets Laureate of Lancaster, a protégé of Ray Bradbury, a cartoonist, a YA author, and a Crawford Award winner for his first fantasy novel. Thank you to Daina Savage, Barbara Buckman Strasko, Gregory Miller, Jarod Rosello, Neil Connelly, and Daryl Gregory! Attendees and authors at the breakfast were asked to recap their experiences in 140 characters or less. Here are their Twitteresque comments! @darylwriterguy - Literacy is a virus, and I met teachers who are infecting students using all vectors: video games, comics, movies, and old-fashioned books. @nathan_grippin - Getting to meet someone (Gregory Miller) who worked closely with Ray Bradbury was definitely a highlight of the conference. I was in awe! @anyeholt - A poet, a cartoonist, and a novelist walk into a room. Inspiration and creativity result. Author breakfast at #pctela13 was transformative! @greggymiller - Good food, good conversation, great to talk about my writing, and theirs, with other teachers! @karen_ulrich - Shared lots of information with the authors. Hope they will each run a concurrent session later for those who did not attend the breakfast. One of our members, Cindy Minnich, shared her PCTELA 2013 experience in a very unique way. By utilizing Twitter and social media, she was able to share her document the sights and "sounds" of the conference. We offer everyone to take a look at her postings, and relive a wonderful weekend! Although I have been to several NCTE conferences and many local workshops, 2013 was only my second time attending a PCTELA conference, the first being the previous year when it was held in Lancaster, PA. It will definitely not be my last. Even though I am retired and no longer actively teaching, there is still much I can learn from attending conferences. I still keep in touch with my former colleagues so I can pass along what I learn to them. Hope these tasty tidbits will give some of them the impetus to attend future conferences and become part of PCTELA. I also continue my association with the Capital Area Writing Project based at Penn State Harrisburg so I can share what I learn at leadership meetings. I guess I will never give up on learning new things. What a sorry state I would be in if I did. Because PCTELA is statewide organization as opposed to a national one, the conference was much more intimate. The Penn Stater was an ideal venue. Because the conference was more contained, I found it much easier to talk to people between sessions and during meal times. Yes, breakfast and lunch were included as part of the registration fee. Besides, where else would I get the chance to have dinner with Jordan Sonnenblick or lunch with Donalyn Miller and Sara Kajder? Everything ran smoothly and was extremely well organized. Hats off to Kate Hoffman for all of the hard work she put into getting everything ready. Anyone who has ever done any kind of event planning knows what it takes to have all parts fit together. The entire conference ran like a well oiled machine. I was excited to see that Jordan Sonnenblick was the opening speaker. A few years ago he was a guest at my district as part of the Author on the Road program run by the local library association. He had a great assembly for our students in the morning and then ran a workshop for selected students in the afternoon. It was great! His talk kept us entertained as well as making us think about our chosen profession. During his keynote address Jordan reminded us that schools are a place for authentic and real learning to take place. It is our job as teachers to make sure that this happens. Throughout the conference there were many breakout sessions to choose from. Hitting all grade levels and interests, there was something for everyone. I had no trouble picking out the ones I wanted to attend. In fact, there were many I would like to have attended but the sessions overlapped. Maybe some year I will be able to figure out how to be in more than one place at any given time. Although I went to the conference alone, I was never alone. I was pleasantly surprised at who was there. I got a chance to reconnect with friends from different parts of the state that I had lost contact with. I was also surprised at who from my home district also attended. The conference was a great place to get reacquainted with some old friends and meet a whole group of new friends as well. I think that one of the best things about PCTELA’s conference is its timing. Being held in October makes it the perfect time of the school year. It is far enough into the year that all the running around taking care of everything required at the beginning of a new school year has settled down. The end of the first marking period is still far enough away that teachers aren’t going crazy collecting and grading assignments handed in at the last minute. The best part about the timing of the conference is that there is plenty of time for teachers to take back what they learn and incorporate new ideas into their instruction. BLOCK THE DOOR. Jordan Sonnenblick’s anecdotes about teaching in an urban setting with violence literally just outside the schoolhouse doors continue to echo through our minds as we return home from the 2013 PCTELA Conference in State College, PA. His exhortations in the face of threats by drug dealers and gang members remain prescient principles by which to teach. When external forces bear down on our learning havens, our response should be to block the door. “Because that’s what we do,” confirms Sonnenblick. While relating the literary journey of his first novel, Drums, Girls and Dangerous Pie, Sonnenblick challenged us to reflect upon the reading paths on which we direct our students. “Think: What book does this student need from me?” After embarking on a quest for the perfect book for a student whose younger brother was battling cancer, he tossed up his hands and declared that there wasn’t one. Yet. As one conference attendee tweeted, “Can’t find it? Write it!”, which is precisely the approach this teacher-writer took. TRUTH AND BEAUTY BUSINESS. Educators today are charged with the safety and survival of learners in our classrooms. We are asked to be first-responders in the gravest of circumstances and masterful guides toward real and lasting learning for the young people we serve every day. Positioning ourselves as either for or against the national standards movement is an inadequate and dangerous stance. Instead, we are in the “truth and beauty business,” just as Sonnenblick asserts. That means we must insist on shifting the discourse toward readiness for life even above and beyond the trending nomenclature of career- and college-readiness. Still, the honest educator acknowledges the very real and visceral needs our students have, while simultaneously inviting them to the beautiful in life. We believe our students and our teaching will benefit from the more mature recognition of “both/and” over “either/or” thinking as we move forward in our voyage ahead. A FREE COMMUNITY. In the world of ever-changing social media, there are many options for connection and collaboration, but perhaps none so popular and useful as Twitter. The power of the Tweet started in the conference hall for many, but it does not stop there; it expands our horizons and capabilities as teachers who share with each other. The conference gives educators a chance to connect face-to -face, but when we leave, we are no less connected. As teachers, we will continue to grapple with the hard issues and challenges we face every day, but we do not need to do so alone.The world of Twitter allows us to be a part of the community of teachers and learners no matter where we are. During the PCTELA event, author and keynote speaker Donalyn Miller tweeted, “For me, Twitter is the best free source of PD anywhere. It's individualized learning. I can follow the people who feed me.” Whether we are seeking professional development, collaboration, help with a student, or need to vent a little, the community of teachers is there on the voyage alongside us. We’re asking our students to be collaborative learners through unconventional mediums; can we honestly say that we are embodying this same aspiration? VIDEO GAMING AND THE HERO’S JOURNEY. Video games often get negative press and teachers can sometimes be a part of the community that looks down on gaming as a deterrent to learning. Lochran Fallon’s presentation on the literary elements found within many current video games dispelled this notion and allowed room for teachers to move into a place of understanding and cooperation regarding gaming culture. Fallon provided a powerful argument in which he outlined several widely accepted games and common literary themes pervasive during gameplay. It is important to constantly check what we know about teaching with the many models around us in order to see if we can engage them in a way that is conducive to learning. THE VOYAGE AHEAD. So as we look ahead to finishing out the year, we keep in mind some of the important takeaways from PCTELA 2013. While the insights are seemingly different, there is a common theme trending throughout. Teaching is a community based profession and PCTELA created a forum where that notion can be freely expressed and explored. Lesson plans, pedagogy, and technology came together to give a holistic experience which is translatable to the teaching profession in a relevant and powerful way. Jordan Sonnenblick, Donalyn Miller, and Lochran Fallon all showed us how to embrace beauty and truth in different ways. PCTELA 2013 brought this community formula apart from the speakers noted here through presentations which encouraged us to always be learning and ready to receive new information regarding best practice. 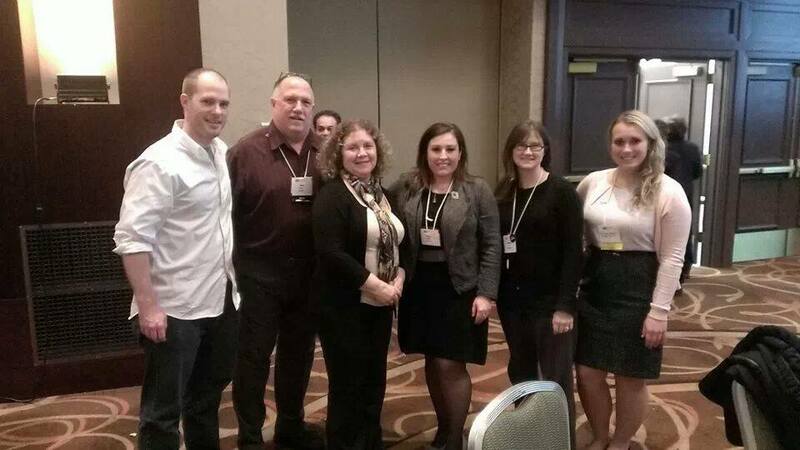 Members of PCTELA in Boston for NCTE 2013! NCTE: February 27th is Literacy Education Advocacy Day. Log onto http://www.ncte.org/action/advocacyday/ to learn how you can participate or even get involved from the comfort of your own home! NCTE recognizes that we may not feel comfortable at first with the role of advocate for our students and our profession and provides a way to learn more about it by viewing a recording of "Finding Our Voice -- Speaking Out to Build Support for Our Work," an online session with Steven Zemelman and Harry Ross, and their "Advocacy for Everyday Teachers" online session where Susan Houser, Clarissa West-White, Shelbie Witte, and Millie Davis explains how easy it is to advocate for literacy education! PSEA: PSEA's Advocates for Children & Education is a grassroots advocacy program focused on member political action. An ACE is a PSEA member who is committed to working with his or her elected officials to advance public education in Pennsylvania. If you would like to become an ACE, or would like more information, please contact Dan Wiedemer (dwiedemer@psea.org or 1-800-944-7732). Please watch your inbox for emails with more information regarding advocacy, what it really entails, and how you can get involved through PCTELA. It is with great pleasure that I am writing to inform you that your affiliate, Pennsylvania Council of Teachers of English Language Arts, has earned an NCTE Affiliate Membership Award for increasing its membership by more than 1.6% from 2012 to 2013. This is truly an honor for your affiliate and its members. Your affiliate will be honored at the NCTE Annual Convention in Boston. Award certificates will be presented at the Affiliate Roundtable Breakfast on Sunday, November 24 and information on the winning programs will be printed in the breakfast program. As an additional national recognition of your work, information on the award will also appear in NCTE’s Annual Convention Awards press release and on the NCTE website. I am including a copy of the press release with this email to you and representatives from the affiliate. Toot your own horn! Please do pass the release on to your own circles and/or keep for your affiliate’s files—feel free to make as many copies as you need. Membership recruitment is an on-going task that requires innovation, persistence and accurate record keeping. I applaud your affiliate both for its efforts and for its success. Keep up the good work! I am looking forward to recognizing your affiliate in Boston. Walking beside thousand-year-old burial mounds, flaking raw stone into tools, learning how potsherds tell us about human behavior, and understanding how humans adapt to complex, ever-changing environments ­our 2014 NEH Summer Institute features all this and more. The Mississippi Valley Archaeology Center at the University of Wisconsin–La Crosse will offer a three-week NEH Summer Institute on July 14–Aug. 1, 2014. This dynamic learning experience for K-12 teachers will explore how Native Americans and Euro-Americans have adapted to the Upper Mississippi River Valley over the past 13,500 years, and how archaeology leads to an understanding of how human cultures change and adapt through time. Application and other information on the Institute is available online at http://www.uwlax.edu/mvac/neh.htm. The deadline for applications is March 4, 2014.